The Clough Pond Association welcomes any interested individual or family to join the Clough Pond Association by becoming a member. Organizations and businesses can help the Association by becoming a Sponsor. Your support strengthens our efforts to maintain and improve the quality of Clough Pond. We have two different membership plans and three different sponsorship plans: Single Membership, Family Membership, Standard Sponsor, Premium Sponsor, and Partnership. Be eligible to serve on the Board of Directors or as an Officer of the Association. Traditionally we have two (2) meetings each summer, one in June and one in August but other meetings are possible. Those two (2) meetings take the form of potluck suppers followed by a business meeting. Cost is $10 per year and all funds received from this option go into the general operating budget of the Clough Pond Association. Meetings are as described above. Cost is $20 per year and all funds received from this option go into the general operating budget of the Clough Pond Association. Cost is $100 per year and all funds received from this option go into the general operating budget of the Clough Pond Association. Cost is $250 per year and all funds received from this option go into the general operating budget of the Clough Pond Association. 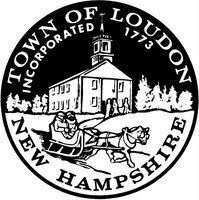 Partnership: At this time the Partnership level Sponsor is reserved for our two major contributors; the Town of Loudon by way of the Loudon Conservation Commission and the New Hampshire Lakes Association. Those two organizations are major supporters of the Clough Pond Association and our arrangement with each of those organizations is unique. We will entertain other candidates for Partnerships upon request. To become a Sponsor or to discuss any of these options further contact Tom Edwards, Secretary, Clough Pond Association. To become a member fill out the Sponsorship Agreement and send it along with your dues to Jean Cote, 131 Clough Pond Road, Canterbury, NH 03224.